The Toyota Starlet is far away from the street racing car status. It’s small, it has small engines and it’s not exactly good looking. However, one owner had a dream to convert this small magnificent ride and create it as powerful as the real sports cars of today. 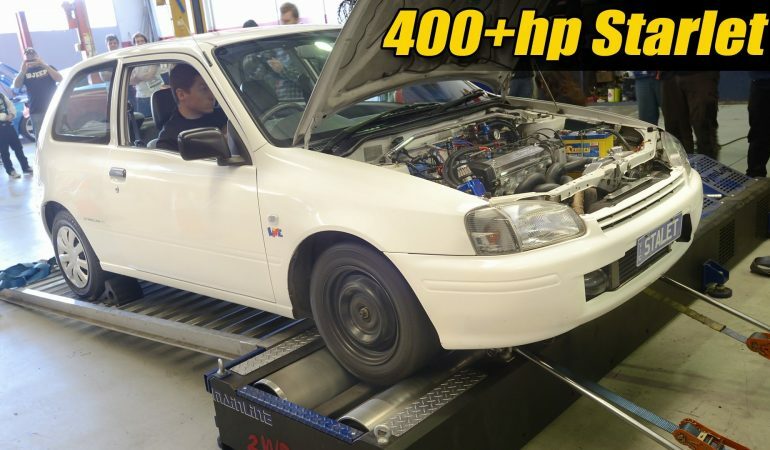 With turbocharger and Wolf 3D EFI system, the Toyota Starlet hit the Dyno and the result showed 400 HP. That is something unachievable by many cars with even bigger engines.